The inlets of the coast in Amalfi, protected from the winds northern, deep and sheltered, were evidently considered ideal to build the villas, whether to periodically sojourn. 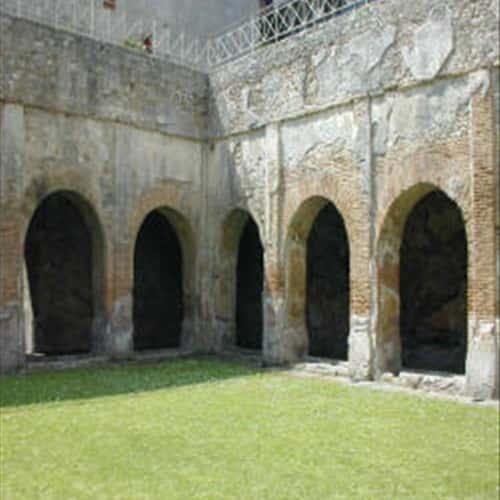 How Positano, Vietri and, perhaps, Cetara, also the hold valley of the Reginna Minor entertained an imposing villa for the rest of the owner. The name of the gentleman who chosed to build his villa is not known unfortunately. We don't know if he was a citizen of the capital who came to spend here periods of rest or an inhabitant of nearer city, Neapolis, Nuceria, Salernum, who moved here for his otias. Surely he was person of notable financial possibilities and of a tall level-cultural and of taste, if we look for the complex and its decorative apparatus. 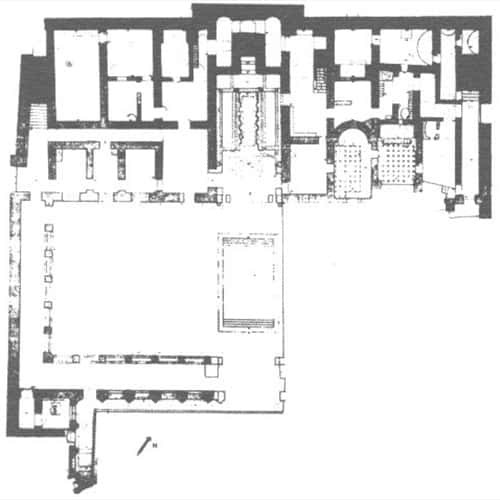 Built to the level of the macaws, in the inferior plan the villa contains among the wings of the portico a Viridarium, to whose center is a tub, in axle with the great one, monumental, opening toward sea and with the most important environment of the plan. The great triclinioninfeo to whose sides symmetrically the whole ground floor develops it . Of the superior plan scarce elements are preserved, only anybody of which in elevated: the suspensuraes of a heated environment and fragments of mosaics pave make them also identify environments to the superior plan however, totally destroyed from the back remaking, as tried by the preliminary archaeological exploration of the second room of the Antiquarium during which any element is not recovered of the period of the age of the villa. Built later in the first years of the 1 century as testified by the decorations in 111 style of the environments, the villa, had different restaurations and rehashes. 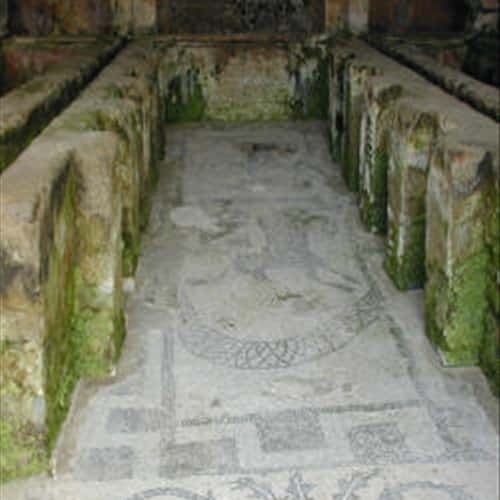 In the III there was the remaking of the "triclinio" with the addition of the counters in masonry and of the mosaic and the partial renovation of the pictorial decoration century. In following epoch still is supposed, some of the environments were reduced by partitions . The villa probably stretched to terraces along the side of the slant, penetrating in the assistant on the right bank of the Reginna Minor. Its extension had to be well ampler . In the inferior hallway, to the feet of the west staircase, the only preserved, "tompagno" let us hypothesize the presence of other environments. During the jobs for the regulation of the river they came to the light, to a certain distance from the building that we know. Some relative structures to environments that still preserved their pictorical decoration . 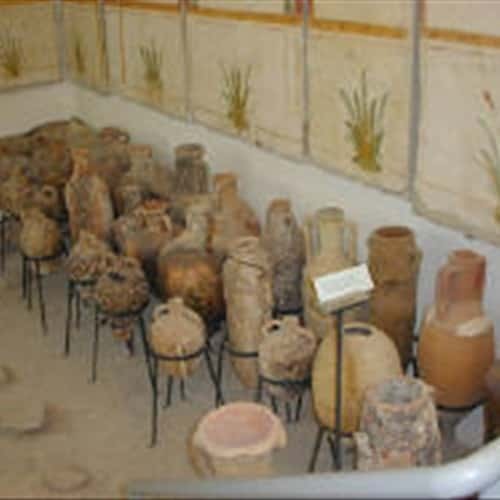 Hypothesized during the excavations as belonging to another villa, could be more probably an oecus and a corridor, in analogy with other noble constructions of the epoch. The life of the villa in a noble residence of stay of the owner developed it within some centuries. A drastic interruption of the continuity of the use doesn't result even if, in the VII century after Christ, it is very probable that it was already transformed in an installation of other nature. When it was not in use anymore, perhaps buried by one of the so many floods that periodically have stricken the coastline, it came "rediscovery" from the inhabitants of the houses built above, so much as that some of the environments built recently as deposit or wine cellars. 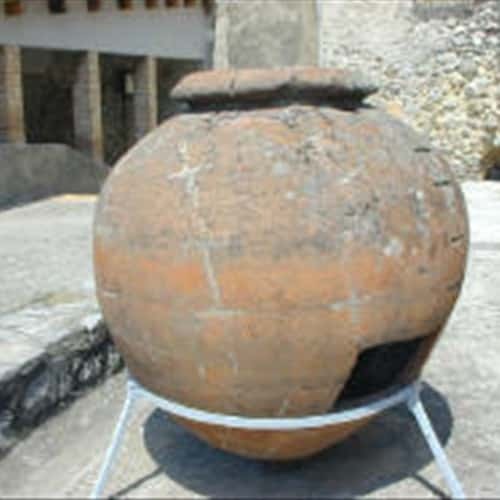 In the 1874 L. Staibano, of the Committee Archeologica of Ultra Principality brought in his Bulletin the news of the recovery to Minori of Roman Thermal baths, but the official date of the discovery goes up again to 1932, when the excavations were initiated. The area resulted to the time occupied by cottages and gardens, that were demolished for putting again in light the ancient structures. But in 1954 the flood that harshly struck Salemo and the Coastline buried again the complex which subsequently came and laboriously put again in light, assuming at the end of the jobs the aspect you can admire nowadsys.